Restylane is an injectable that is best known for treating fine lines. The active ingredient is hyaluronic acid—a naturally occurring compound that can replenish your collagen to smooth out wrinkles revealing youthful skin. Our injectable filler specialist will first review your cosmetic goals to insure Restylane is the right filler for you. Most patients report little to no pain associated with injections. Additionally, there is little to no downtime! The cost for Restylane injections will depend on the severity of your wrinkles, which determines the amount of syringes used. Dr. Chan is happy to discuss all of your pricing and financing options with you at your initial Restylane consultation in Portland. Insurance does not cover the cost of fillers. 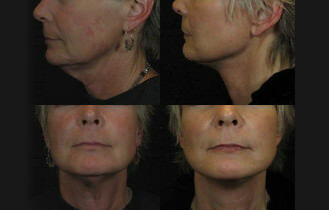 Click Here to See Our Restylane Before and After Photos!